The parish church Hl. Katharina (St. Catherine) is a baroque church dating back to 18th century. Inside there are works by Martin Falbesoner from Nassereith and Giuseppe Gru from Verona. I was especially impressed by the shape of this window which reminded me of a bee. 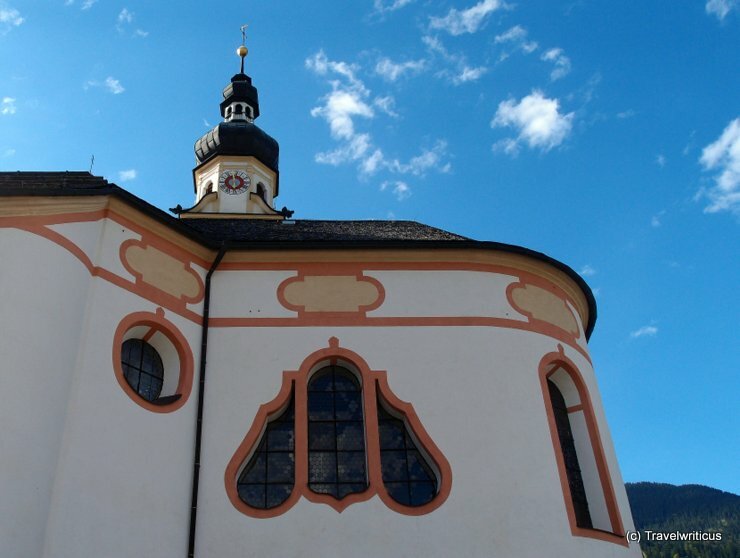 This entry was posted in Churches and tagged Austria, Lermoos, Tyrol by Travelwriticus. Bookmark the permalink.